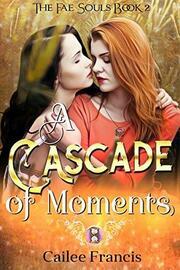 A Cascade of Moments is the new, enchanting second installment of 'The Fae Souls' series. When Prince Eldran gave Sorcha and I permission to reside at his mansion, we built a life there. It couldn't have been more perfect. Years passed, and our love blossomed. With time on our hands, Sorcha chose to help in the mansion's kitchen, while I worked in the gardens and joined the island's guard detail. It worked well for us, until word reached us that King Auberon and Queen Carisse were returning, and a failed treaty brought about threats of war from a long-standing enemy. It was important to me to protect Sorcha, our home, and the friends we'd made on the island during our years there. I assumed we might have to fight, but I could only hope there was a chance for us to stay together and make it through - safe and sound. 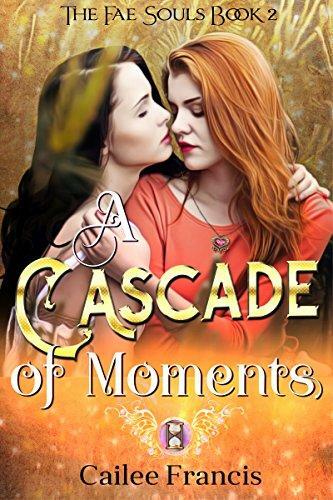 A Cascade of Moments is a romantic novella of just over 20,000 words, which contains strong steamy content and language.